Associate Minister of Education Jenny Salesa with Viky Narayan. 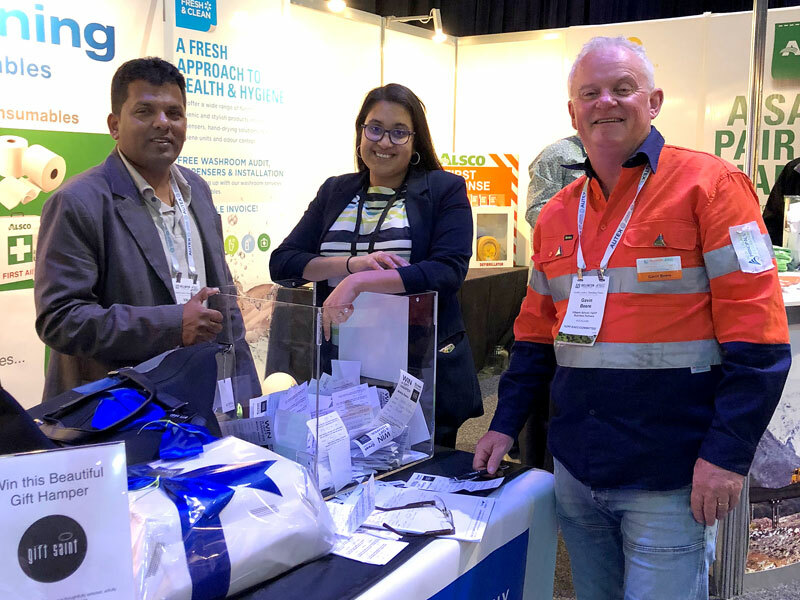 A Government Minister has acknowledged CrestClean for its commitment to the New Zealand Principals’ Federation after the company reached a 10-year milestone as key sponsors. 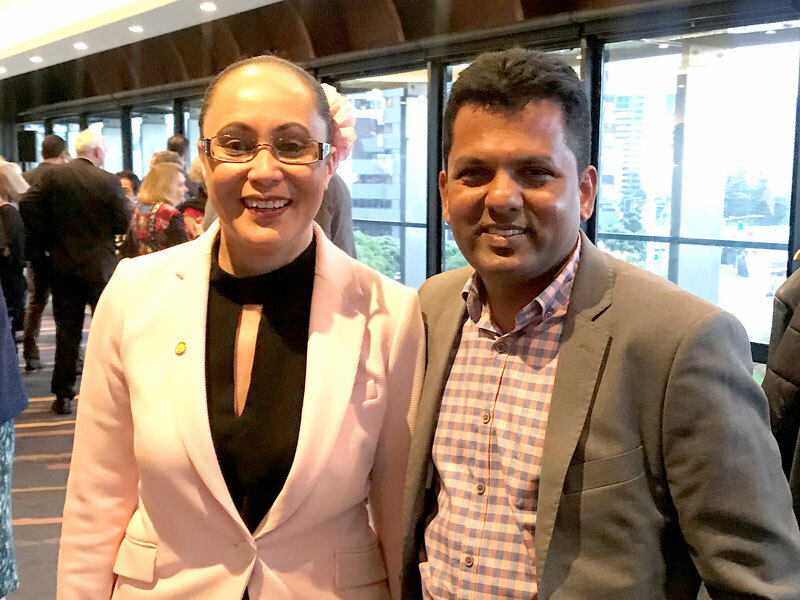 Associate Minister of Education Jenny Salesa made a special point of passing on her thanks when she met CrestClean’s Auckland South Regional Manager Viky Narayan at the recent NZPF conference in Wellington. CrestClean has been supporting the principals’ federation since 2008 and is a Gold Partner. 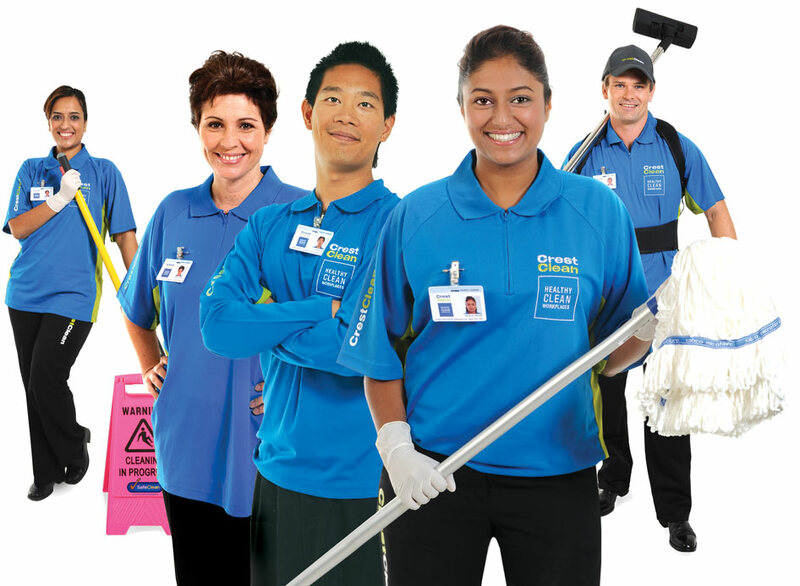 Viky says Ms Salesa acknowledged CrestClean’s 10-year association with the NZPF. “She said ‘thank you for helping those schools out there and keep up the good work’. “It was really great to get acknowledgement from a government minister,” he added. The minister met Viky at a conference reception where NZPF President Whetu Cormick also paid tribute to CrestClean in a speech to delegates. 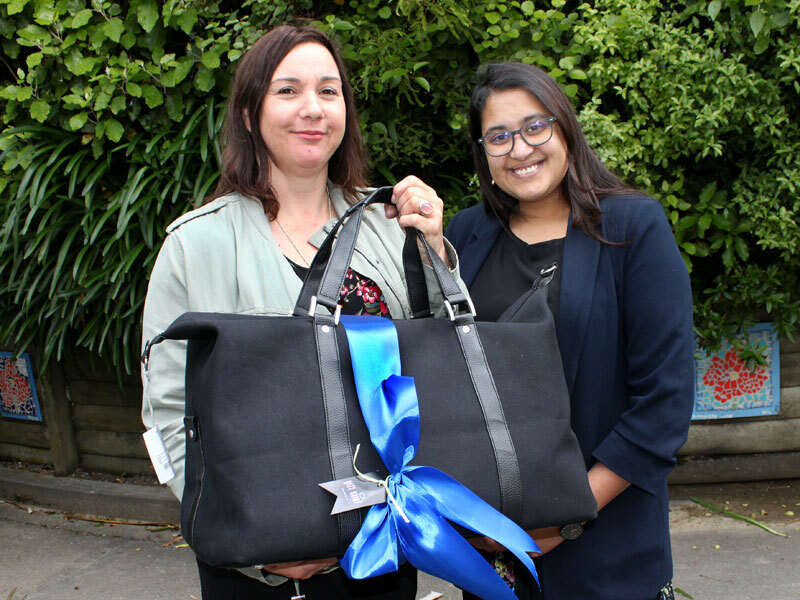 “He acknowledged CrestClean for our 10 years alliance partnership with the NZPF and the good work that we have done in the education sector,” says Viky. CrestClean’s Managing Director Grant McLauchlan says the company has been cleaning schools throughout New Zealand since 1997. “Our relationship with schools is ingrained in the culture of our organisation. 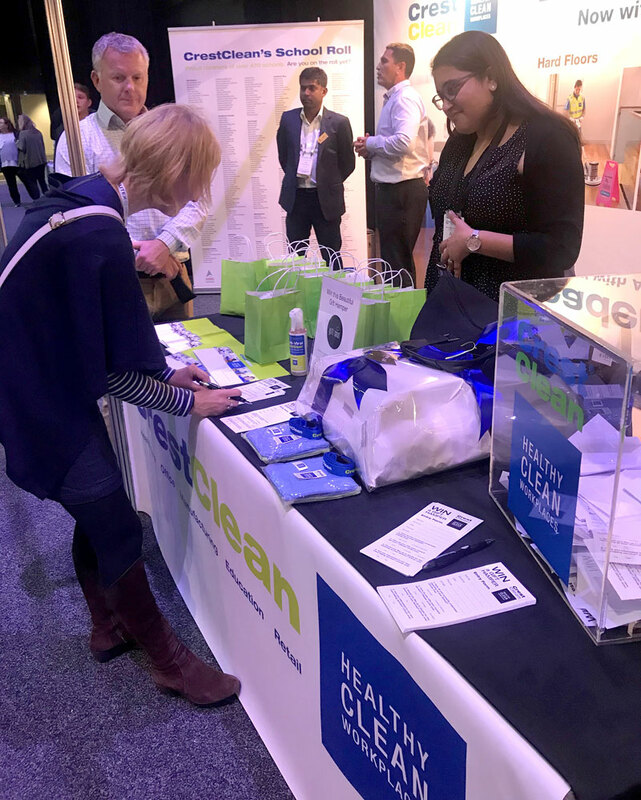 CrestClean’s stand at the conference attracted a lot of interest and scores of principals entered a draw for a chance of winning two luxury prizes from Gift Saint. The lucky winners were Kirsten Reid, from Ngaio School, and Margaret Zlatkov from Brooklyn School. Both are associate principals at their respective schools in Wellington. For Kirsten, it was her first time attending a NZPF conference. But she was in disbelief when someone told her she was a winner. “A principal from another school told me I’d won. She’d seem my name on the prize list but I thought ‘it can’t be me’,” she says. It was Kirsten’s lucky day as she also won books for her school at the conference. Hoping for three in a row, Kirsten admits she bought a lotto ticket when she got home. “Unfortunately I didn’t win,” she said with a smile. Gavin Beere makes the prize draw on the CrestClean stand. Looking on are Viky Narayan and Zainab Ali. The CrestClean stand proved popular at the conference. 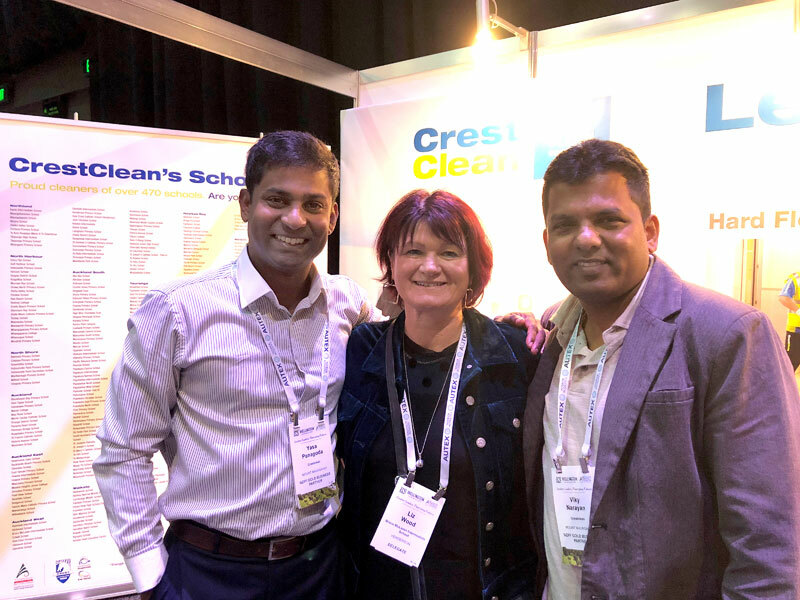 CrestClean’s Yasa Panagoda and Viky Narayan with conference delegate Liz Wood from Bruce McLaren Intermediate School, Henderson.